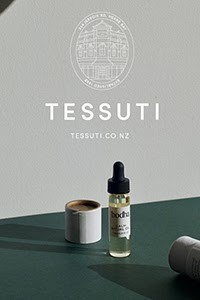 Most of you will be familiar with AURA by Tracie Ellis, the Melbourne-based bedlinen and homeware company. Since their launch in 2000, they have become known for their stylish designs where chevrons, stripes and block prints mingle freely with unique hand-made cushions and throws. 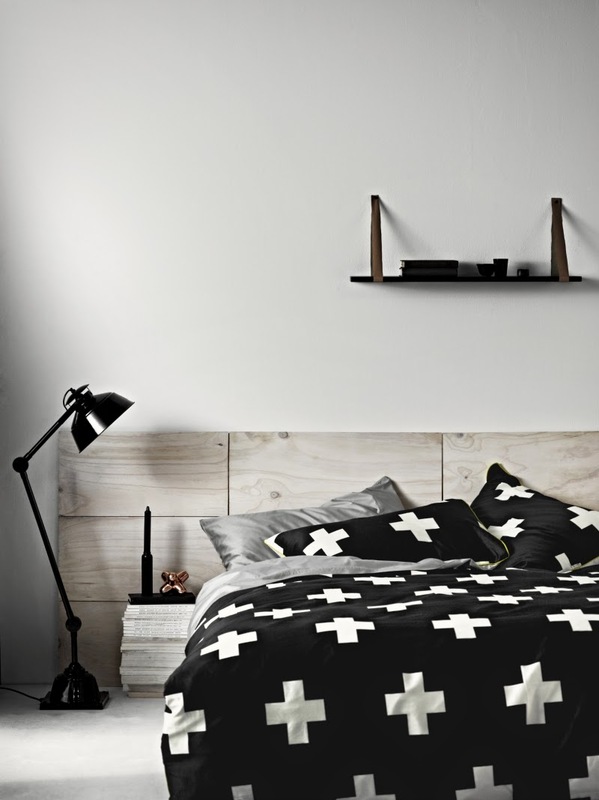 Their recent crosses design is a favourite of mine so I was excited to receive news last week of the Black Crosses bedlinen. The first arrival from the Aura Home Spring/Summer Collection, I can't wait to see the rest of the new range! 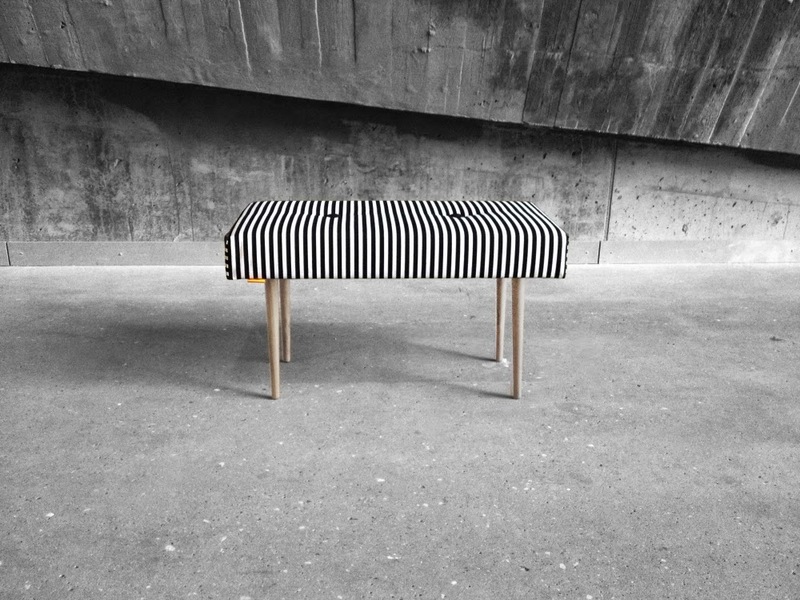 Much like its name, BENCH is simple and understated. Created by furniture enthusiast, Jan Fahlmann Andersen, in a small apartment in Aarhus, Denmark, the original inspiration for BENCH was a modern take on mid century design and the necessity for a piece of furniture that was multifunctional for the home. 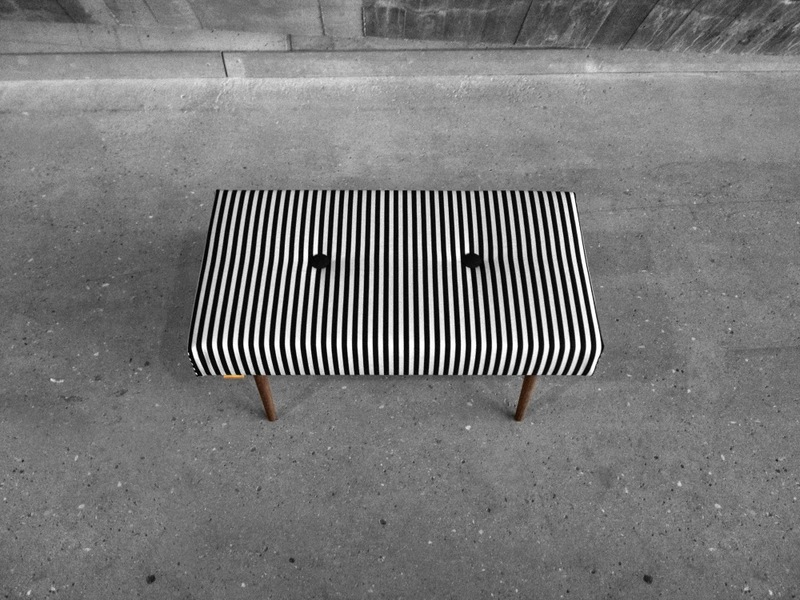 Designed to be used as an extra seat, a footstool, or coffee table, the Stripes is one of a variety of colours and patterns to suit every interior palette. For the legs, you can choose from American walnut, oak or a lacquer finish in black. Check out the entire range here. 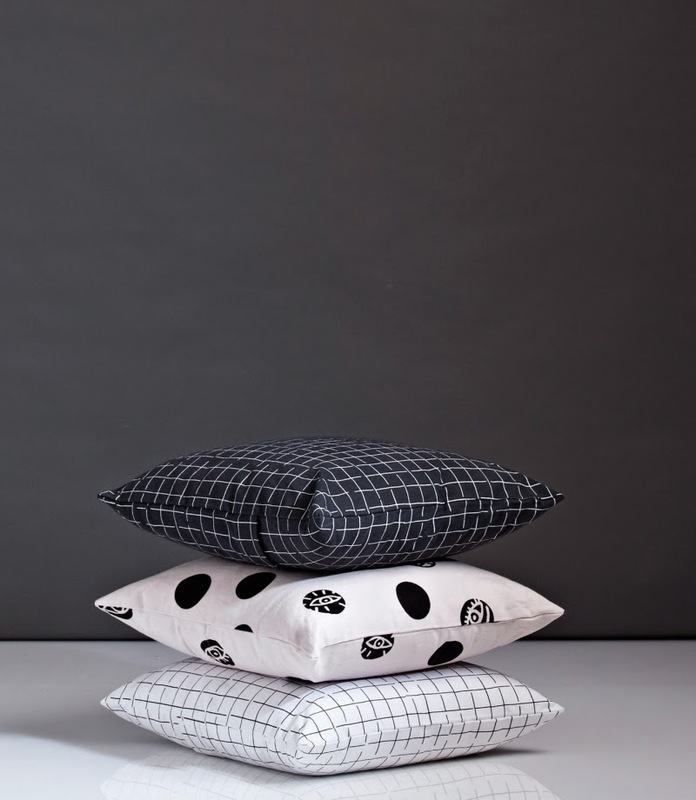 I'm loving these new cushions by NZ fashion design label Kowtow. Made from premium 100% certified fair trade organic cotton twill and hand screen printed in their limited edition collection prints, I'll take one of each please! Purchase direct from Kowtow or from Paper Plane. It's not a Monday Mix Up without some fabulous interior spaces thrown in! All monochrome, all inspiring, here are some of my latest finds. I can't resist a well styled picture wall. The key to achieving this look is to stick to one colour frame (in this case black), and combine a mix of graphic prints, illustrations and photography in different sizes. 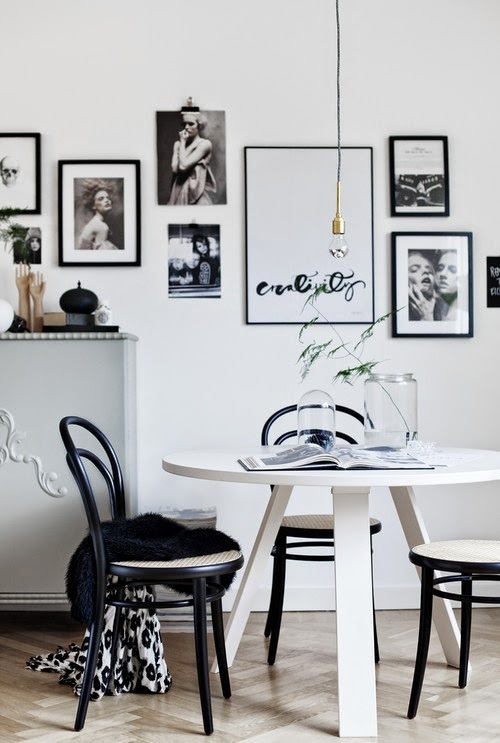 I like the way interior stylist Hanna Ahlin has also stuck some tearsheets straight to the wall. Being a bit haphazard with the layout adds to the appeal. This Copenhagen home features a lovely light-filled open-plan office space. See the full house tour here. The latest styling project by Pella Hedeby, shot for Rum21 by Kristofer Johnsson. 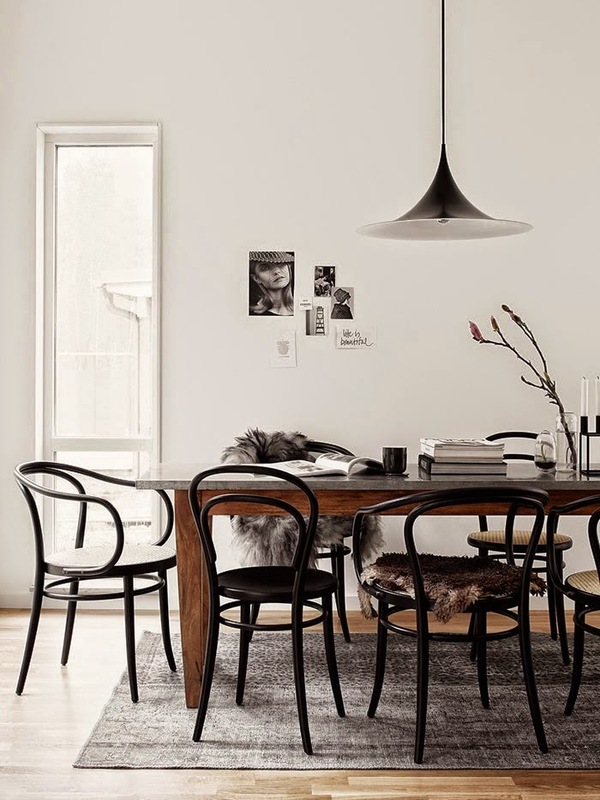 This makes me want a new set of Thonet Chairs for our dining table, and the Icelandic long-haired sheepskin that's been on my wishlist forever! 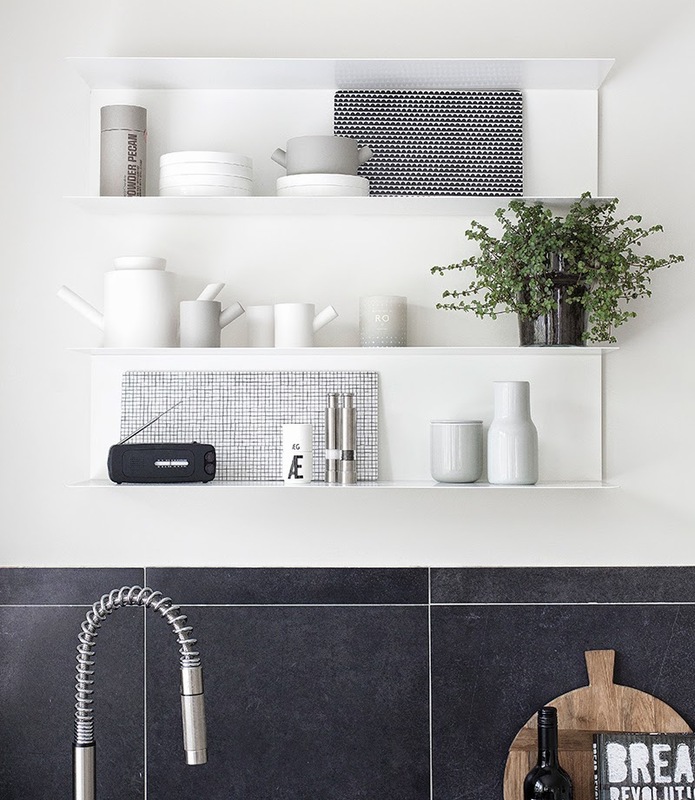 Two very different, yet equally gorgeous monochrome kitchens. The gold cabinetry is a brave move but it works! 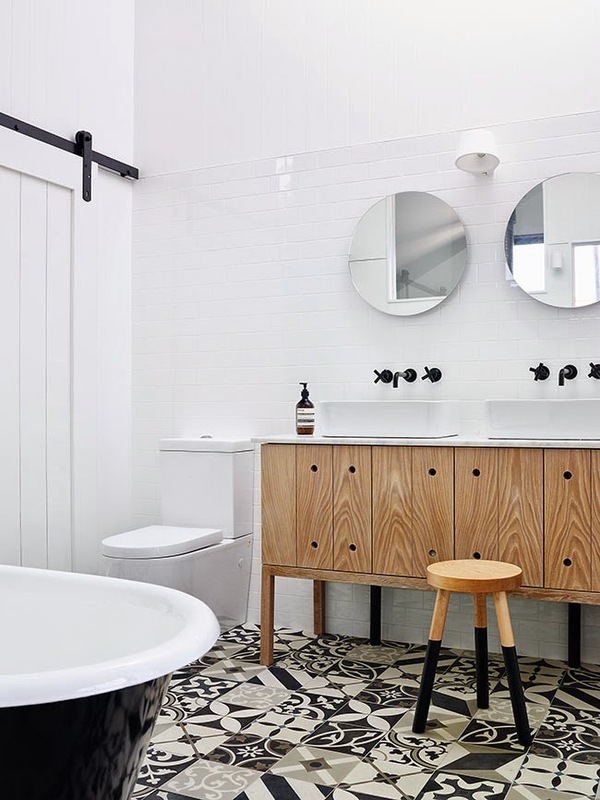 If this stunning bathroom looks familiar, it's because it belongs to the incredible home by Whiting Architects that I featured in this post. Shot here from a different angle by Lucas Allen for Share Design there are so many great elements, I thought it deserved a bit more love. 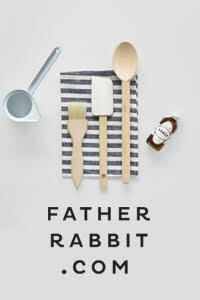 I'm especially partial to the black tap ware, contrasting wood elements and barn door. Lots of inspiration, thank you! 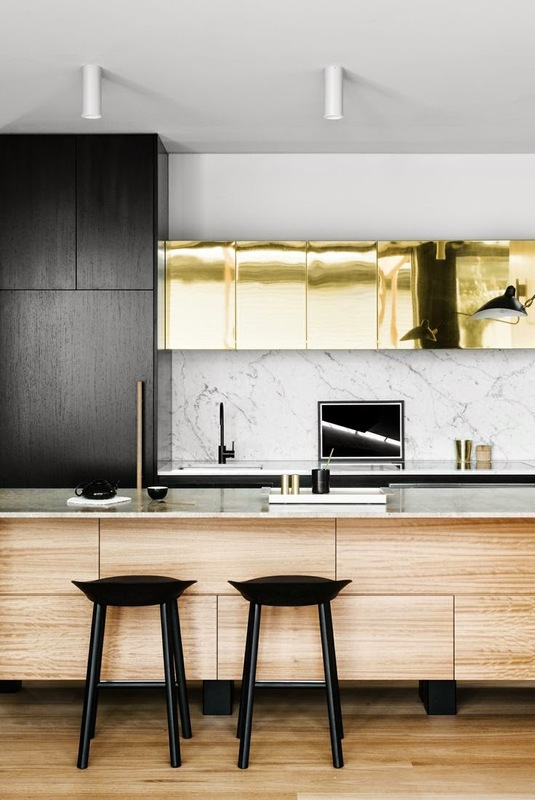 I would LOVE to know how they did those gold cabinets! !